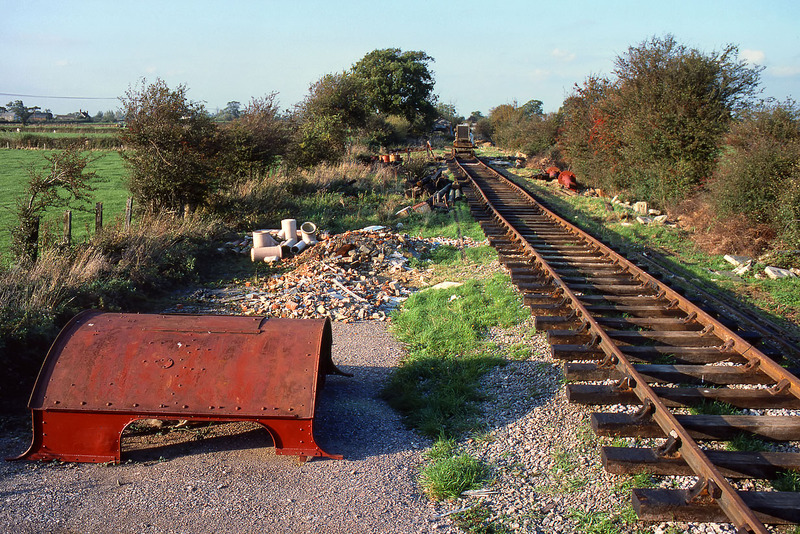 The Swindon & Cricklade Railway's site at Blunsdon, pictured on 21 October 1983. The first tentative length of track has been laid, and various items of building materials are lying around. In the foreground is what appears to be a GWR 45xx 2-6-2T cab roof. It would be another two years before the society was able to run its first trains.